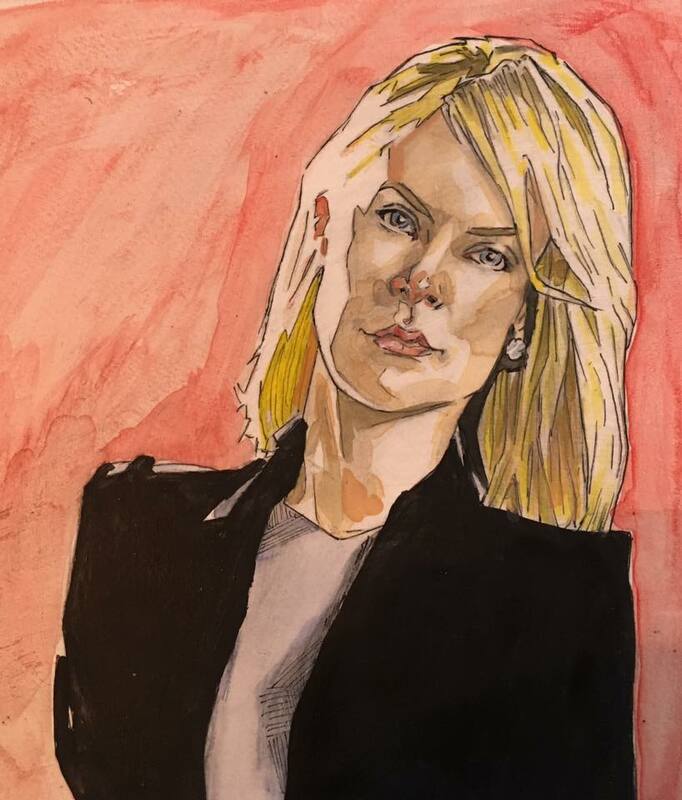 Today I have an ink and oil painting of Charlize Theron. The oil paints that I have been using are water soluble so I can get thin layers of paint and still keep the ink drawing visible. I do like to paint with thicker paint but with the quick turnaround of painting daily I chose to use this technique. 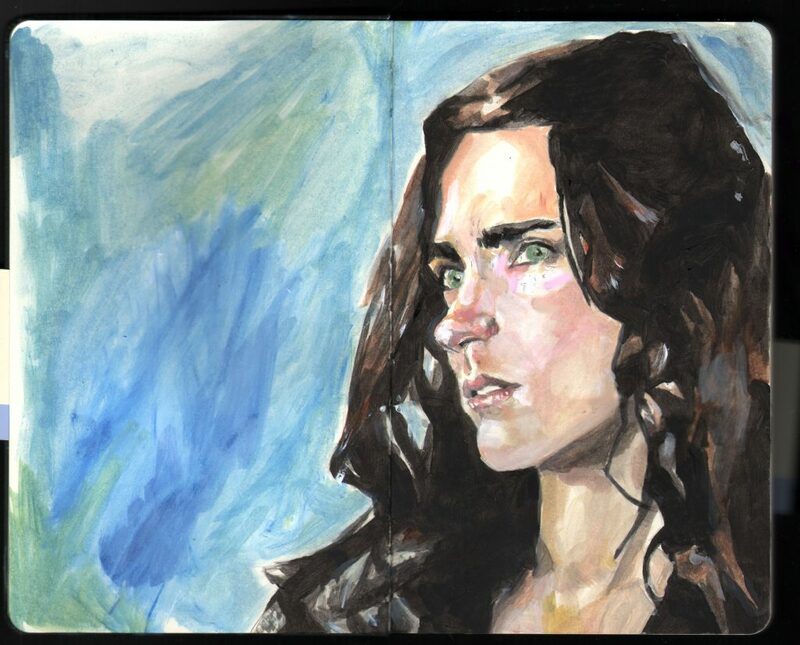 But, I think another reason I use it is because I like to use watercolors and this has a similar look to that. 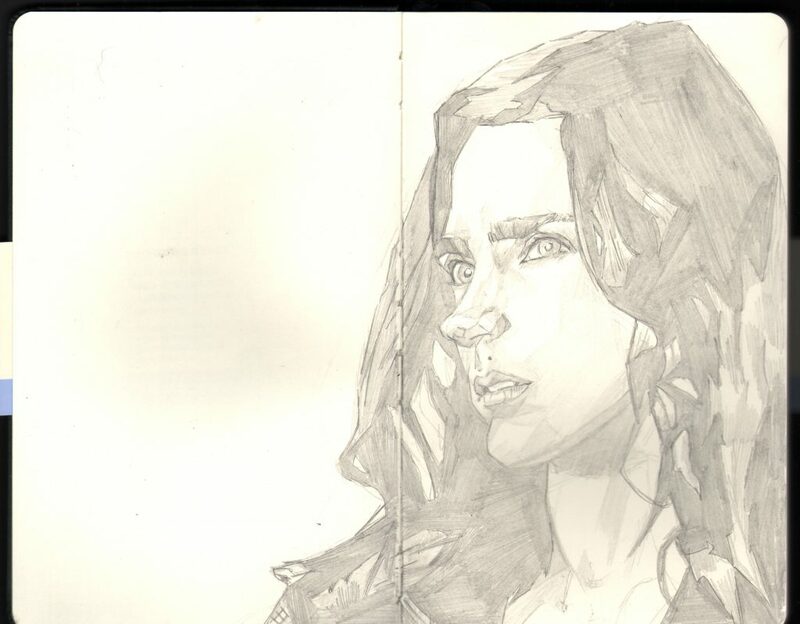 And why did I chose to do a portrait of Charlize Theron? I wouldn’t say I’m a big fan of her. She is certainly a great actress and I’ve enjoyed some of her films. I would say I went with her because she has a timeless beauty and style to her. I also liked the high contrast in the lighting of the reference I used. Alright, it is day 1 of the Inktober month of ink drawing that is happening on the internet. I had heard of this project from the videos that artist, Jake Parker has on YouTube(which I highly recommend subscribing to). But, I have never participated in it before. 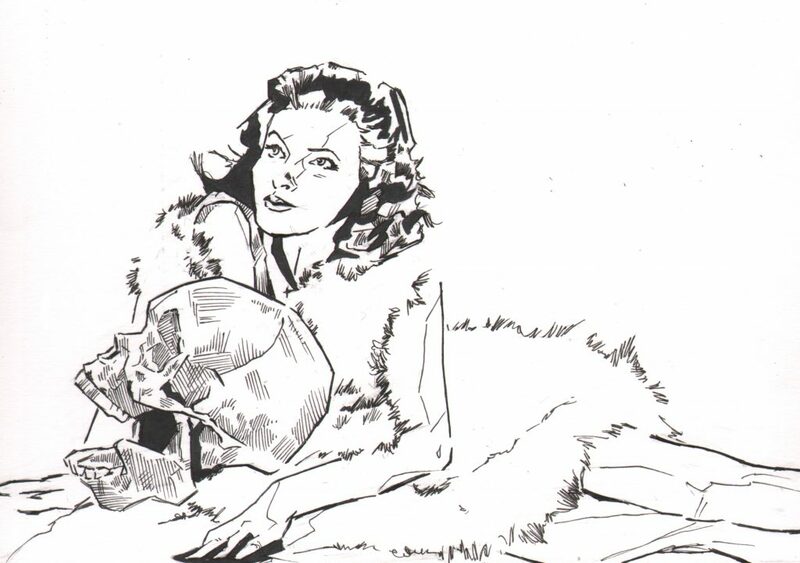 I do love drawing with ink and using ink in washes for my drawings. This seems like as good a time as ever to jump in. I feel like I need to do something like this after the 30 days of painting last month. Now I have the problem of figuring out what I will be drawing this month. One thing I knew I wanted to do was draw skulls. That will probably be a main element in a bunch of this month’s pieces. With October being known for being a spooky month, I should throw in a bunch of monsters. 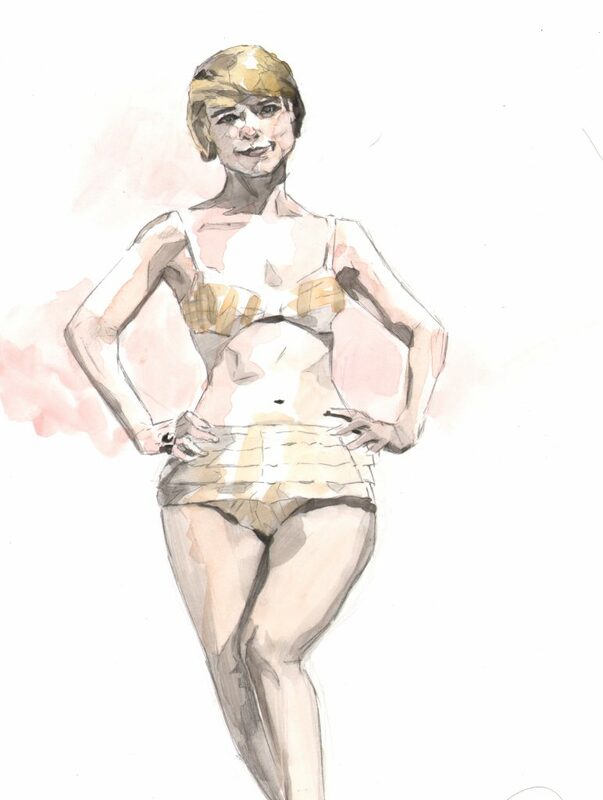 I would also like to continue some of the pin-up style females that I thought came out well last month. Which leads us to today’s drawing. 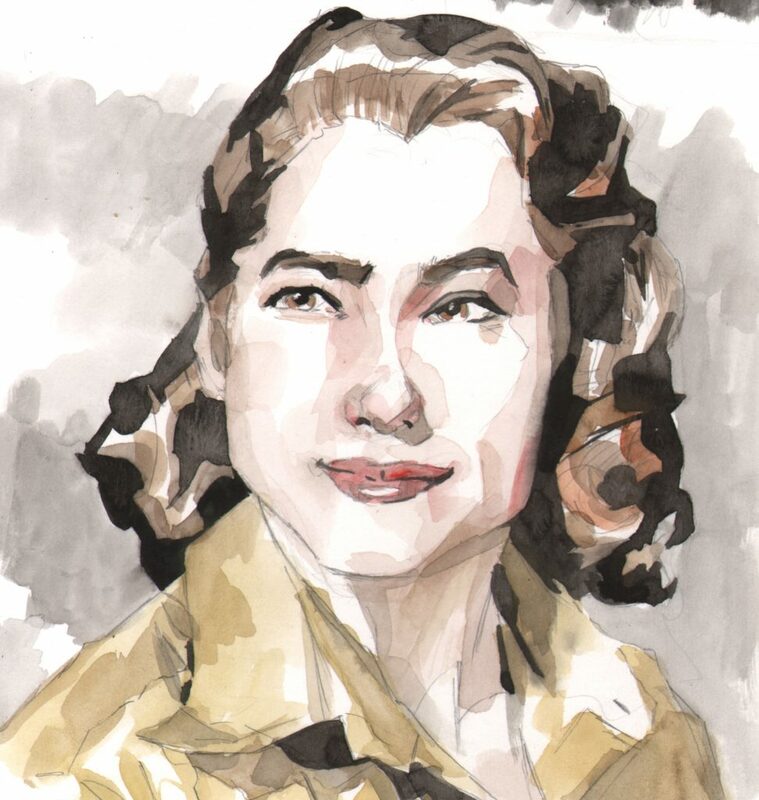 Today’s portrait is of Julie Adams, who plays Kay in the Creature From the Black Lagoon. 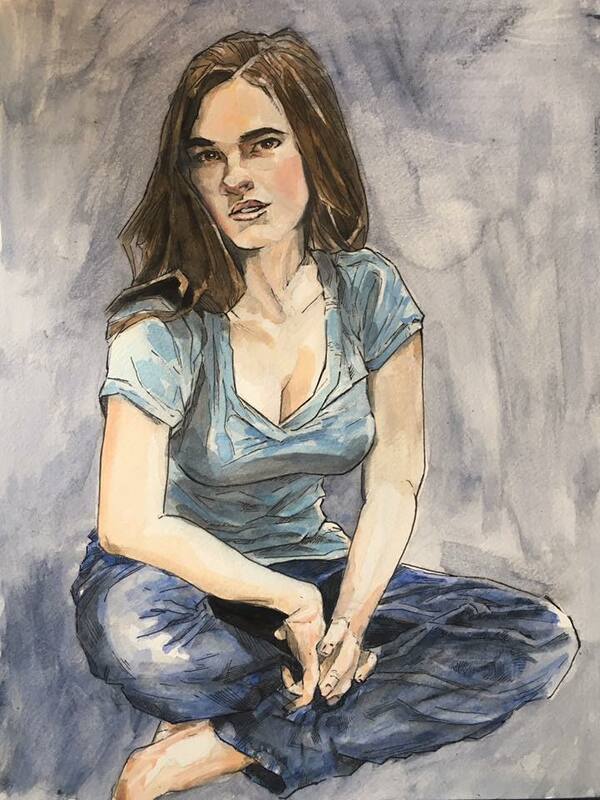 It’s another watercolor painting, where I’m trying to stay close to the Zorn palette. 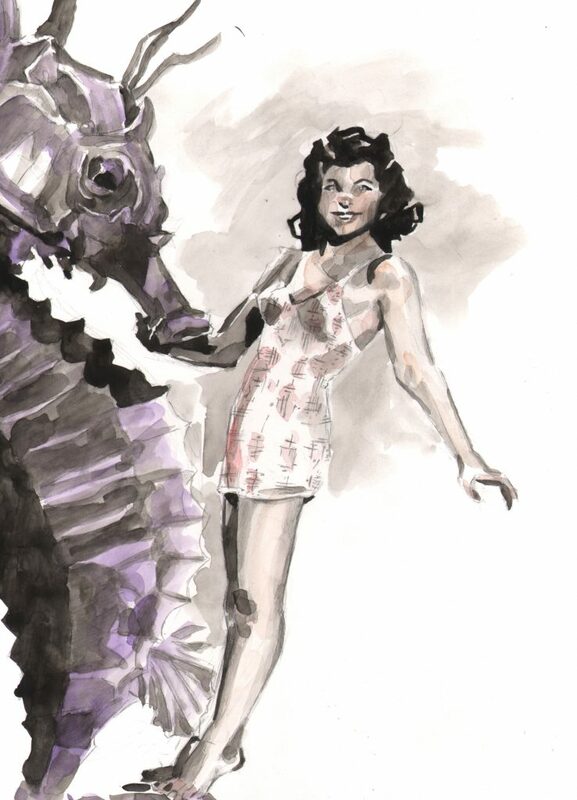 In the movie she is the main object of the Gillman’s attention. October is the time of the year called Inktober, where people are doing a month’s worth of ink drawings and I’m thinking about joining in for my first time. And the reason I bring this up is because I’m thinking that the Creature From the Black Lagoon film might be a main subject of the drawings I will do for the month. 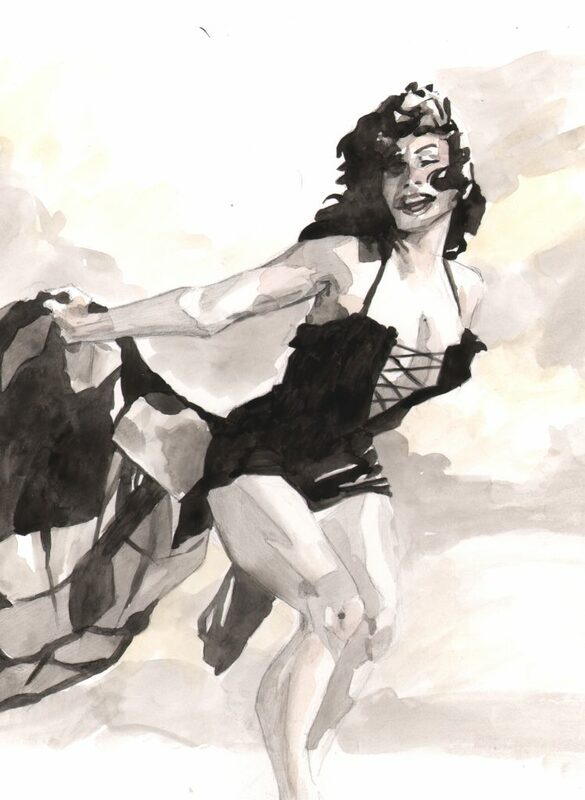 Day 11=another retro pinup watercolor painting.